The New Orleans Baptist Theological Seminary (NOBTS) extension center at Hardee Correctional Institute in Bowling Green celebrated it’s first graduation as forty student inmates were awarded Bachelor of Arts in Christian Ministry. Several members of the NOBTS faculty were in attendance as well as Tommy Green, executive director-treasurer of the Florida Baptist Convention and Myles Dowdy, lead catalyst for missions and ministry, who also has served as a professor for the program. Ruth Graham Bell also attended the ceremony and shared a word with the graduates. 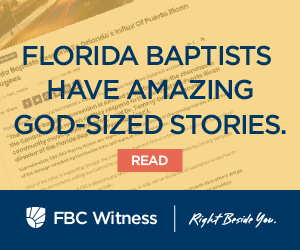 Mike Wetzel, director of the Hardee extension center and pastor of The Island Chapel in Tierra Verde, has been an integral part of pioneering this groundbreaking work, the first of its kind in a Florida prison. The first NOBTS extension center to be set in a prison started 20 years ago at the Louisiana State Penitentiary in Angola at the request of a forward-thinking warden who believed moral rehabilitation was the only way to change the violent prison environment. Once known as the bloodiest prison in the U.S., Angola changed dramatically as the hearts and minds of the men inside were transformed by the Gospel. The inmates of Angola have started 24 churches over the last 20 years. Three churches have already been started at Hardee, making it the fastest ministry start of all of NOBTS’s prison programs, according to Kelley. NOBTS also runs prison seminary programs in Alabama, Georgia and Mississippi. A similar change is taking place at Hardee. Wetzel said prison officials are already seeing the prison become a safer place since the program began. Some of the students are being utilized by prison officials to provide peer counseling. All the dorms in the facility have inmates living in them that are a part of the program and are serving as mentors to other inmates. Approximately 100 inmates have come to a saving knowledge of Jesus Christ and been baptized. One student baptized 15 inmates in one night. Other students will go on to serve as inmate chaplains and others as teaching assistants in the program. The seminary representatives were in full academic regalia and inmates wore caps and gowns. Each inmate was allowed to invite two visitors to witness the historic milestone. Wetzel said many invited family members who after years of disappointment and heartache finally have a reason to be proud. NOBTS requires that inmates accepted into the program are Christians and engaged in a Christian ministry inside the prison while they study. Kelley said requiring the students to be involved in ministry is a huge part of what makes the difference in the prison environment. The program is funded completely through donations. Wetzel said it costs between $50,000 and $100,000 per year to run it, with the biggest expense being textbooks. Kelley said he’s grateful for the work of Southern Baptists in prison ministry and the volunteers that willingly go into the prisons everyday to minister. 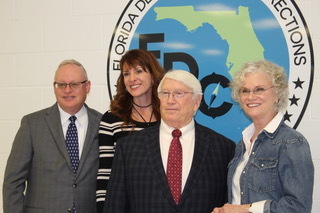 “But when those folks leave at the end of the day and those bars clang shut, inmate ministers pick up where the volunteers left off and continue to make good use of what those volunteers have come in and done,” Kelley said.